Buy One of Our Special Animals Today! At Hopkins Heavensent Miniatures, we offer a large number of miniature horses that are available for sale! These horses come in all ages, colors, and sizes. We have an exclusive selection of miniature horses in Maryland that are a true blessing from God. If you are looking for a miniature horse to compete, our professional training program can prepare them for showcases and championships. Our company is located in Earleville, MD, but we provide services to customers all throughout the state of Maryland, the U.S. and abroad. Speak with one of our staff members about any horse you may be interested in! For trustworthy miniature horse sales, please call Hopkins Heavensent Miniatures today at (443) 206-4577. *Princess will continue her driving career and begin showing in Hunter as well in 2018! In her first year of driving, she brough home several Regional and World champion titles. 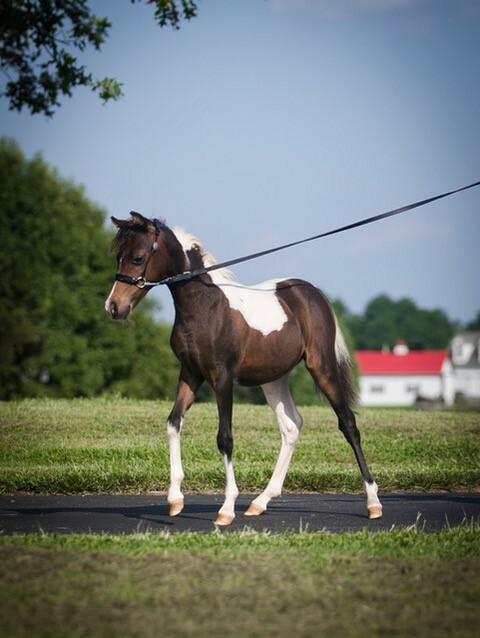 Phoebe is a beautiful filly and should be very competitive in the show ring both in halter and performance. She will mature approximately 33.0”. Poppy has incredible movement and presence – a real “look at me” attitude. She is covered in paw prints, so very likely homozygous for pinto like her sire PC. 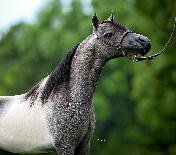 Poppy will mature approximately 32-33 inches and be competitive in both halter and performance classes. Pandora is incredible. She is very upright, refined, showy, her movement is incredible. She will be a fantastic, winning show mare. She will be tall for AMHA and possibly be a measuring issue as a yearling and/or two year old before leveling out at 34” when mature like her dam Rings did. The height question is the only thing keeping her priced this low – should be double!! Persius is a standout for sure – he has so much presence for his age and he moves extremely well – floats at the trot already. He will stay at the top of each height group each year and finish approximately 34”. Will be competitive as a stallion or an all around show gelding. He will be on my show string in 2019 if he doesn’t sell before then!! 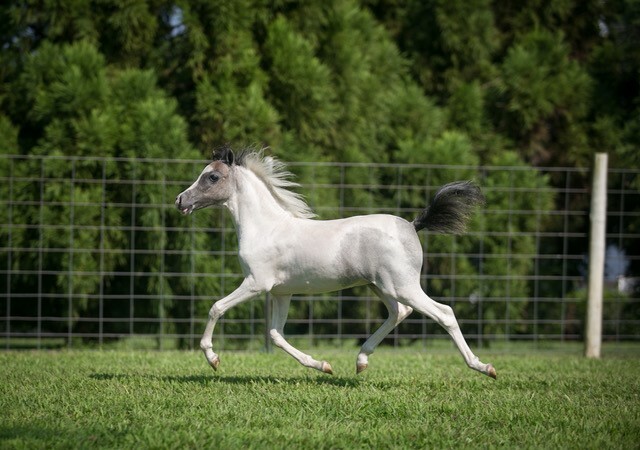 Sin is a flashy, eye-catching boy and will get noticed in the show ring. He will mature to approximately 33-34” but I don’t believe he will be a measurement issue. With grand champions on both sides of his pedigree, Sin has big shoes to fill! Indy is super pretty and will mature approximately 32”. His color is amazing and he moves very elegant like his Grand Champion halter AND driving horse sire. And his dam is royally bred as well – BIG shoes to fill and Indy is up for it. Show him as a competitive stallion or all around gelding. Dora is an incredible mare in a tiny package. She will stay under 30” and can follow in her dam’s footsteps and take the small height classes by storm! Super correct, showy attitude/presence and the pedigree on this little filly – WOW! Pascal is incredible – tiny, gorgeous head, floating movement and he will mature to approximately 34”. He already has amazing presence and attitude that will serve him well in the showring. Show him as a top stallion or a fantastic all-around gelding!